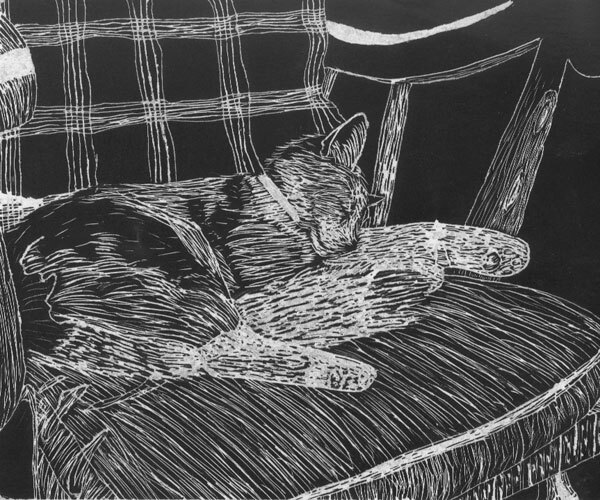 I have always loved animals, especially cats, dogs, and horses, and have been drawing and painting them for as long as I can remember. 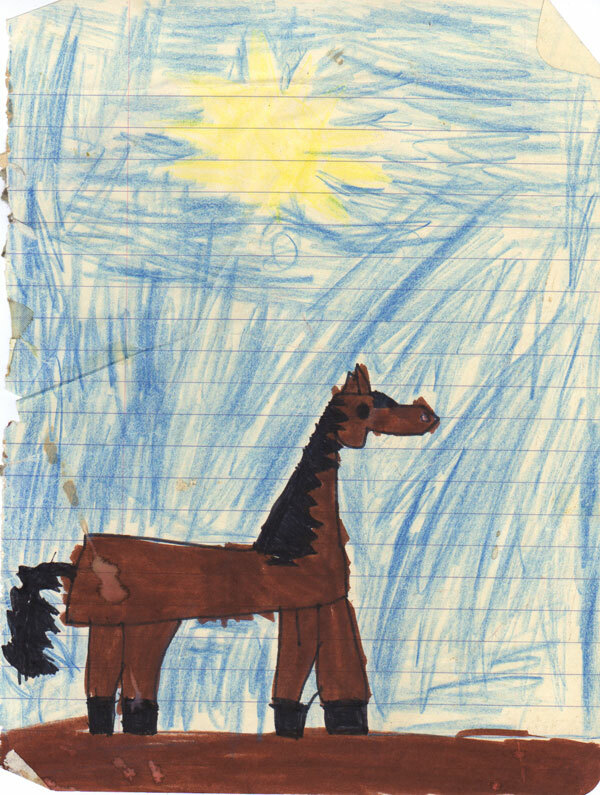 In fact, one of my earliest memories is of asking my mother to show me how to draw a horse as well as she did. 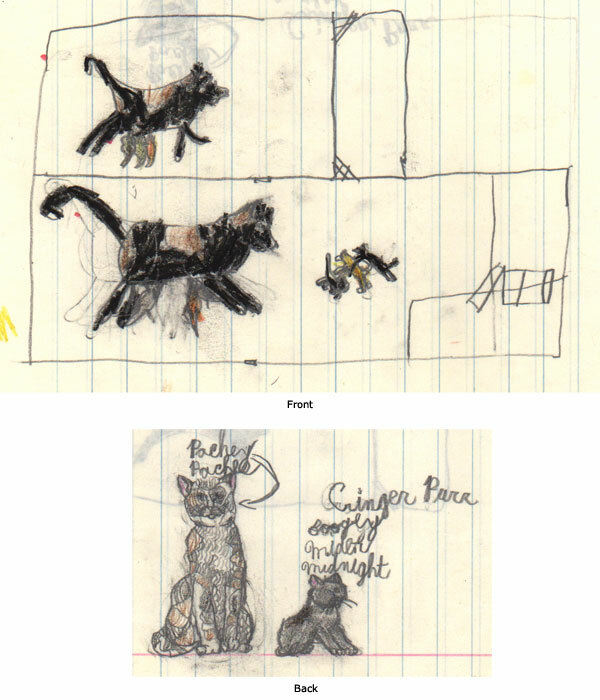 When given a choice in subject matter for art classes, I naturally gravitated towards animals. 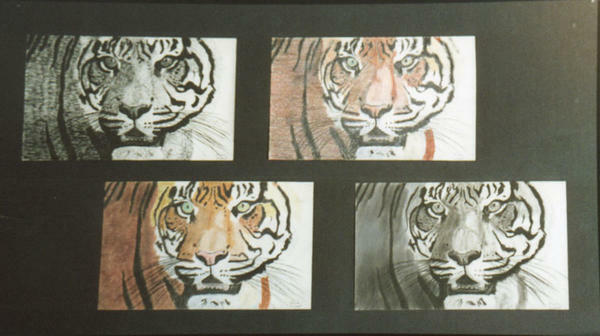 When I was 15, my drawing of four tiger heads in different media won first place in a high school art show. 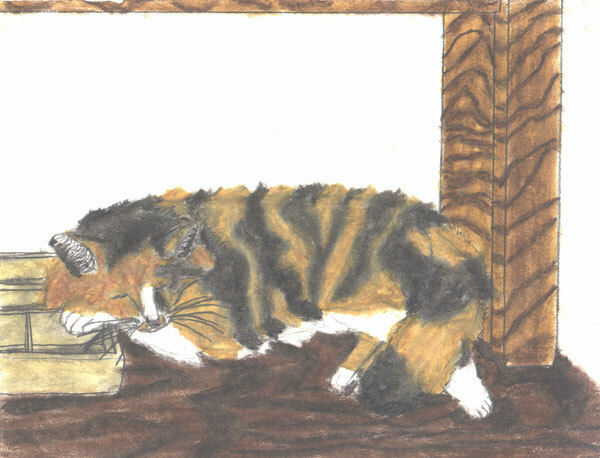 Perhaps my earliest pet portraits were of my beloved childhood pet Patches. As a calico cat, she made a wonderful subject with her patchwork of color. I drew portraits of her many times over the years, from the time I was very small all the way through high school, until she passed away at the age of 13. I was a freshman in college and away from home at the time, so I never had the chance to say goodbye. 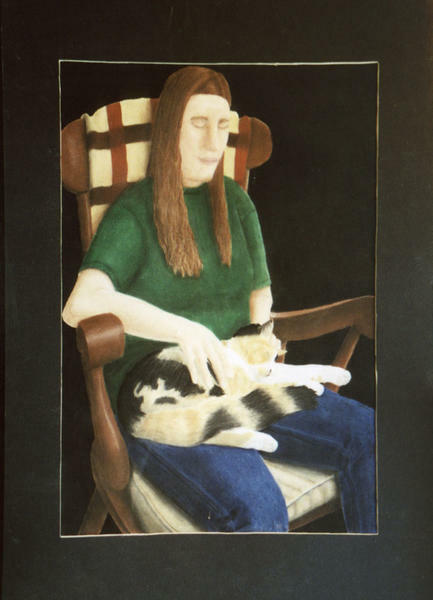 My final portrait of my Patchy was a memorial, in which I took a photograph of her sleeping on an old rocking chair and put myself in the picture, such that I was sitting on the rocker and she was sleeping peacefully in my lap as I was gently stroking her. To this day I still miss her dearly. I have experimented with different subject matter over the years, and while I enjoy landscape painting, I keep coming back to drawing and painting the animals that I love so much. It gives me great pleasure to also be able to give this to other people. I love to hear how delighted people are upon receiving the portrait of their special pet. I would love to work with you, too, to paint a portrait of your special pet. If you have any questions about pet portraits, please feel free to contact me.